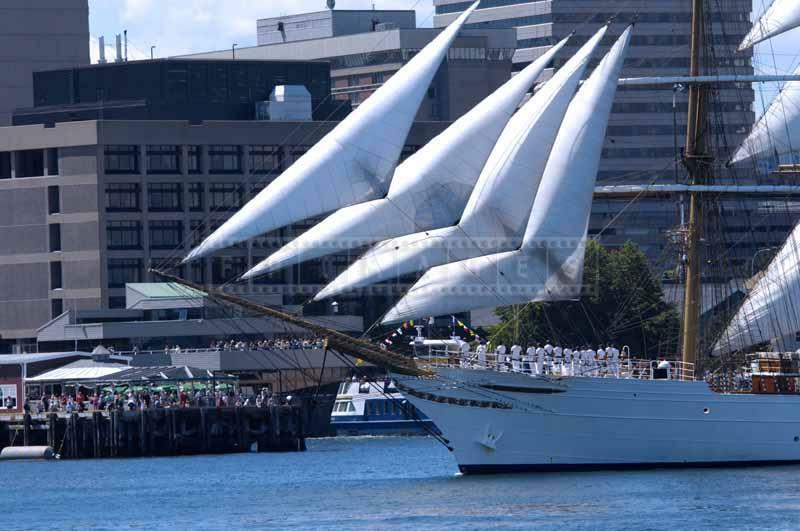 Large sailing tall ship under full sail is one of the most beautiful sights in the world. 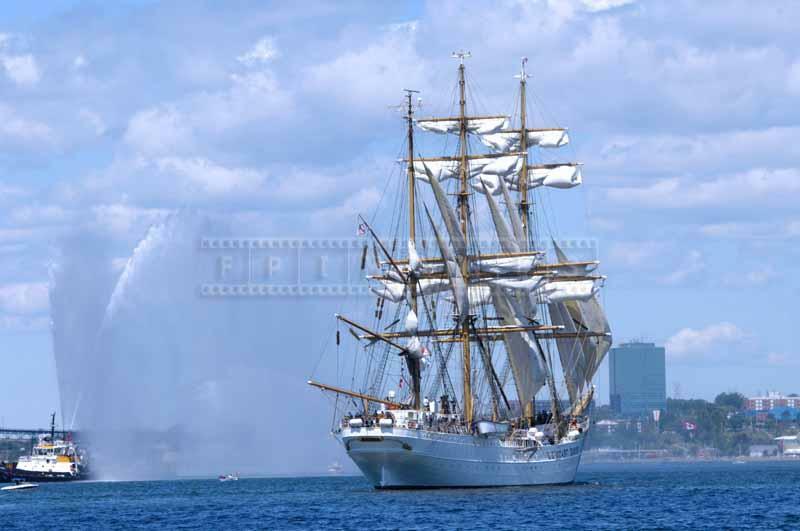 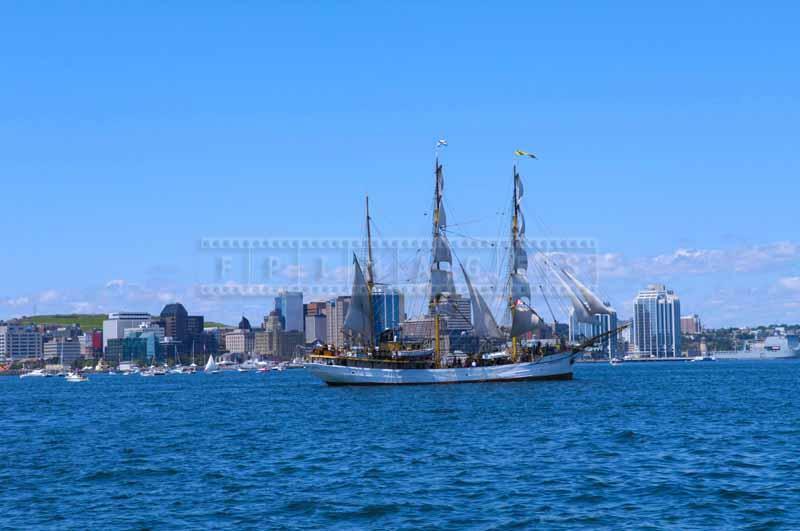 And when there are about 50 tall ships sailing by then it is a real treat for spectators. 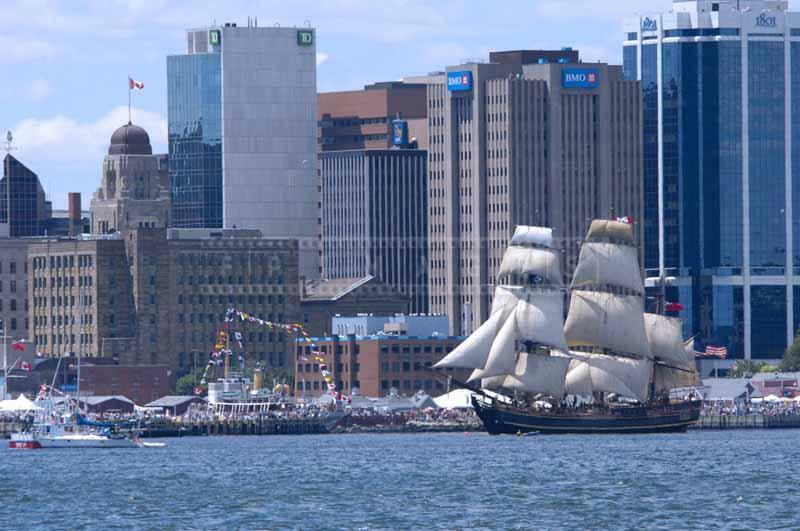 This is exactly what people came to enjoy on July 20, 2009 during Tall Ships Halifax Parade of Sail along the harbor waterfront. 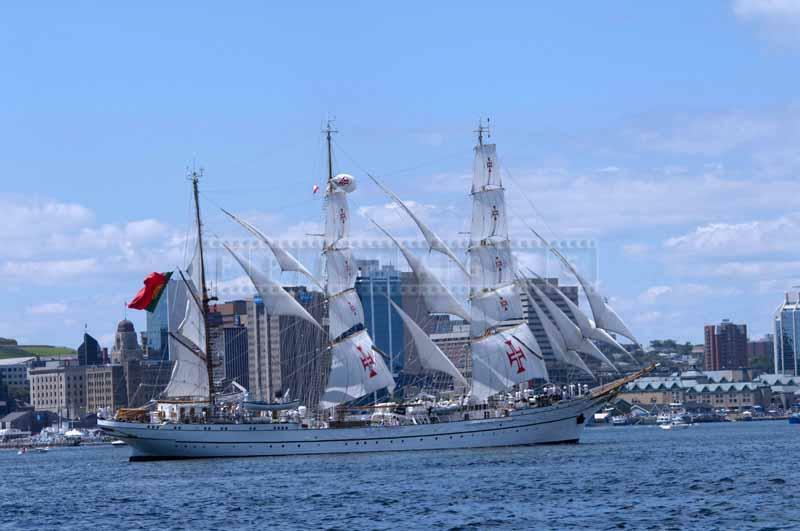 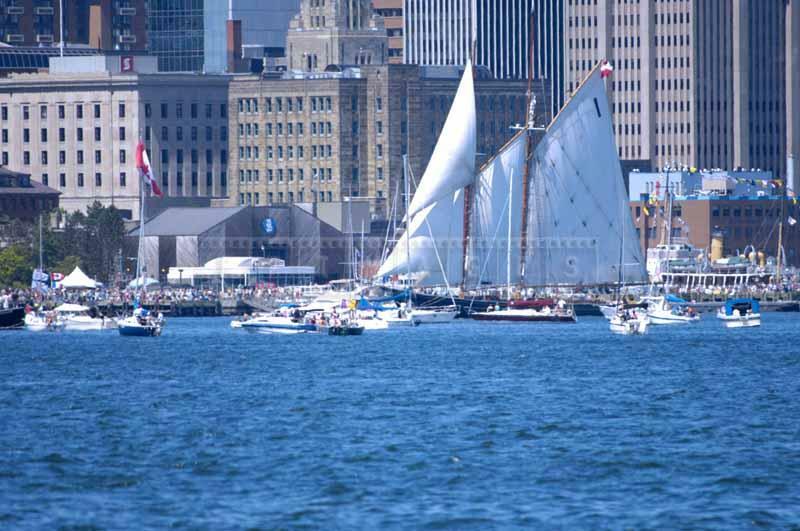 For three hours sailing vessels moved in a majestic procession known as Parade of Sail. 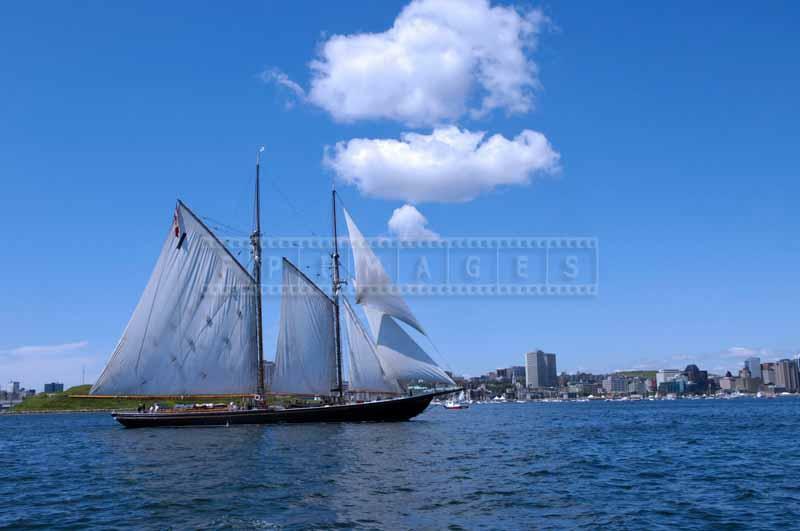 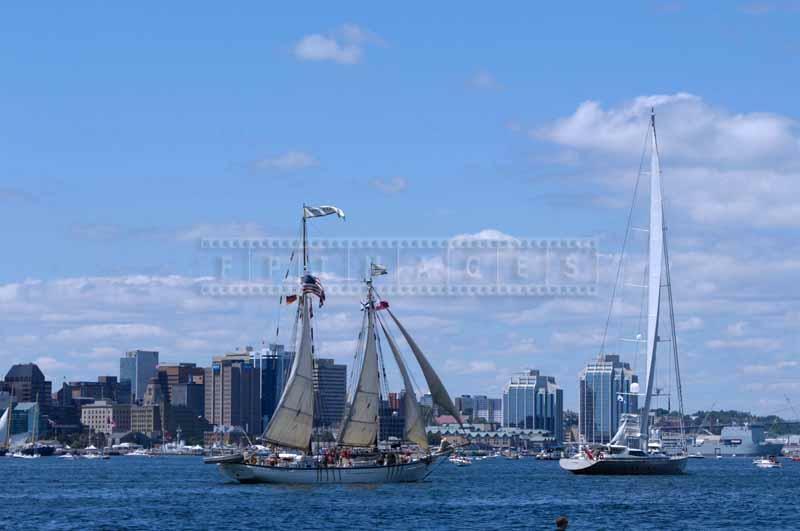 Opening the parade was local schooner Bluenose. 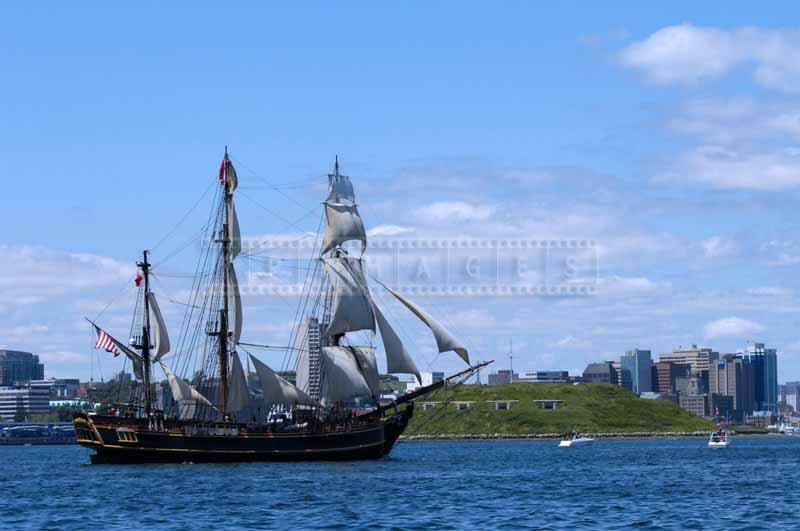 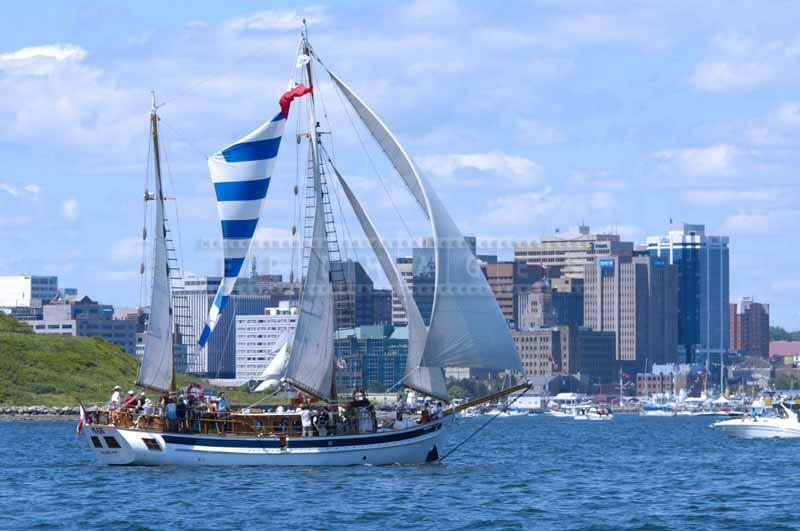 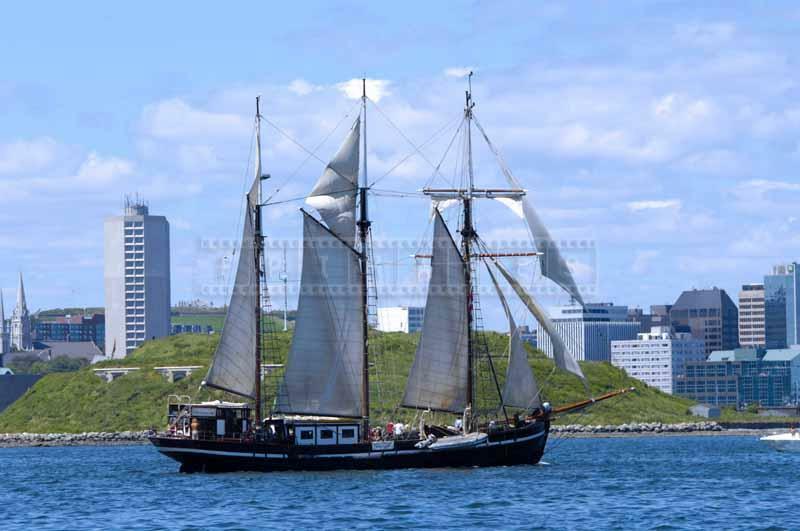 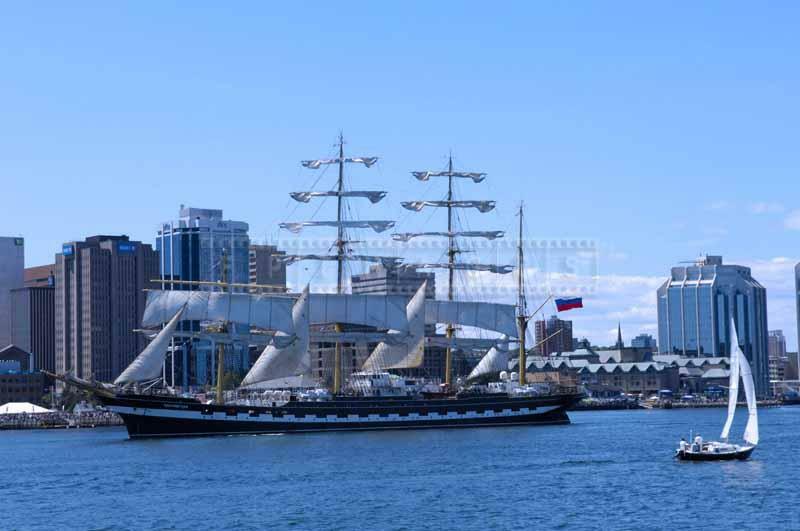 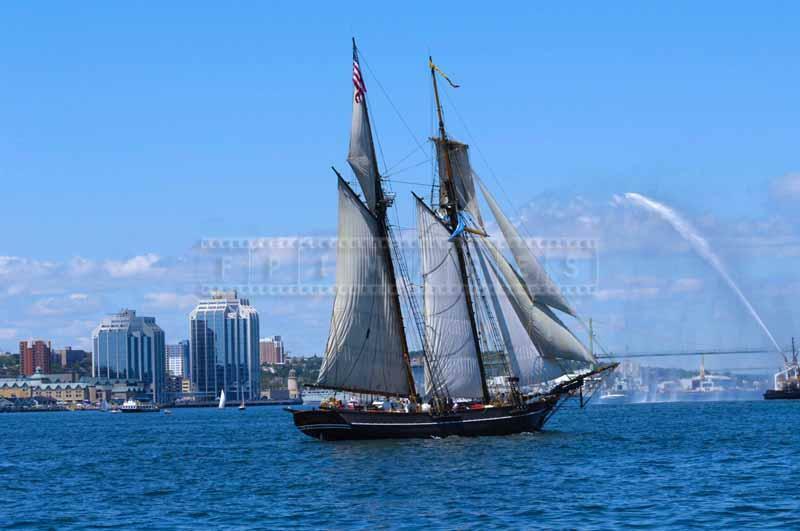 Vessels sailed into the harbour on Dartmouth side of Georges Island, proceeded to MacKay Bridge, then turned and sailed past the Halifax waterfront full of visitors. 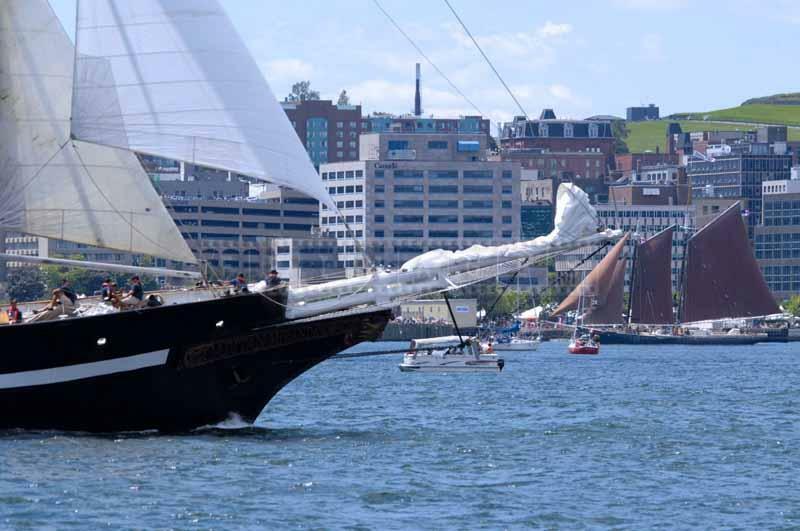 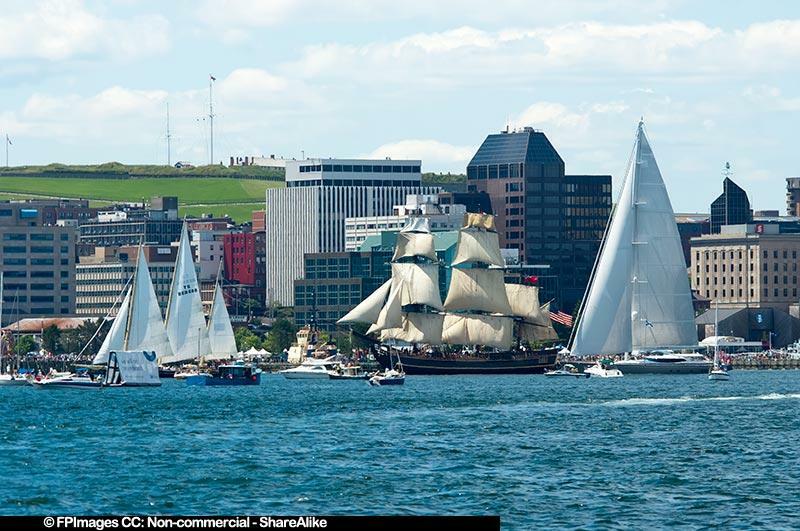 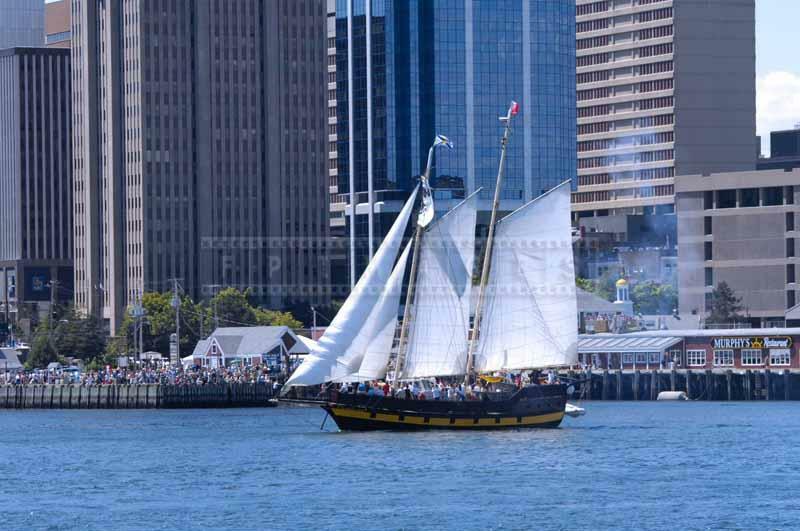 Dartmouth also was a good place to watch Parade of Sail, anywhere from Woodside Ferry terminal to Alderney Landing. 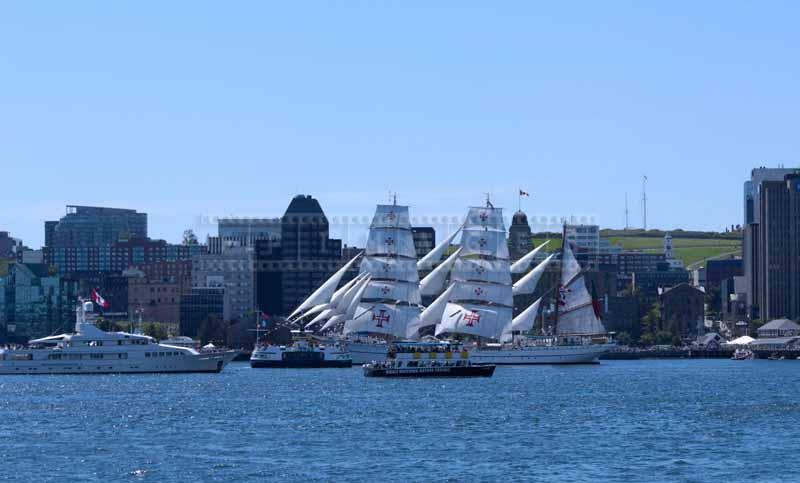 Nova Scotia icon Bluenose was followed by other tall ships in this order : schooner Amistad, barque Picton Castle, barque Europa, schooner Pride of Baltimore II, schooner Liana’s Ransome, barque Eagle, barquentine Caledonia, barquentine Concordia, schooner Virginia, schooner Spirit of Massachusets, schooner Mar II, schooner Bel Espoir, schooner Roseway, brigantine Fair Jeanne, barque Bounty, schooner Spirit of Bermuda, sloop Destination Fox Harb’r, schooner Harvey Gamage, schooner Urania, barque Sagres II, schooner Etoile, schooner Capitan Miranda, barque Cisne Branco, barque Kruzenstern. 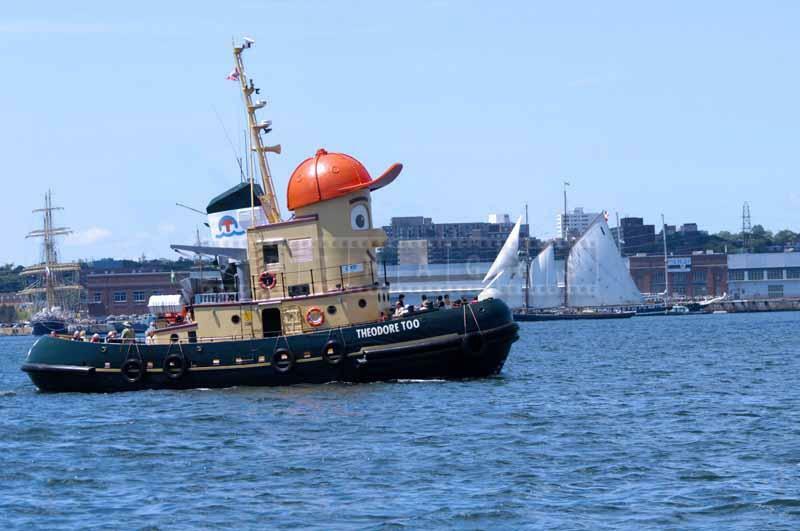 It must be mentioned that two of the ships on this list were lost at sea since then. 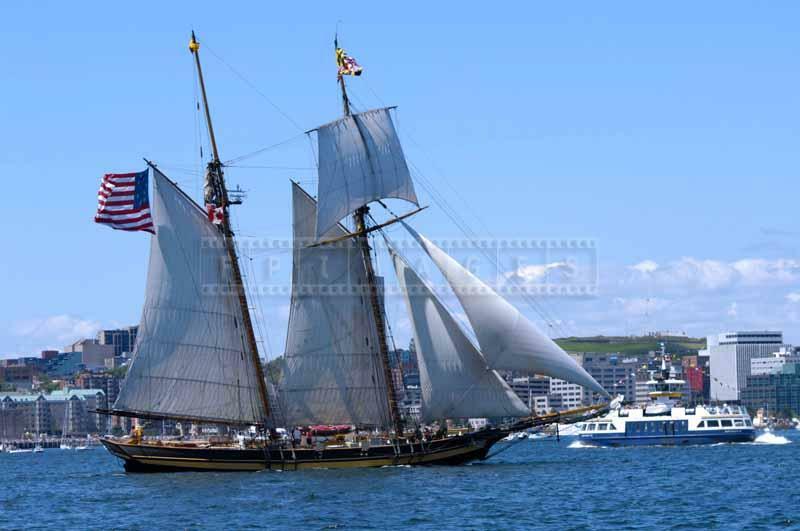 Barquentine Concordia sank of the coast of Brasil and HMS Bounty was abandoned off the North Carolina coast, both losses were due to storms. 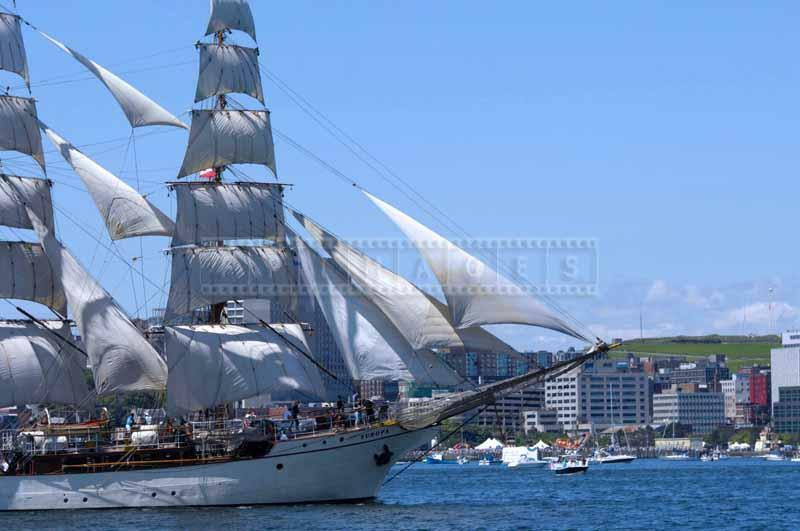 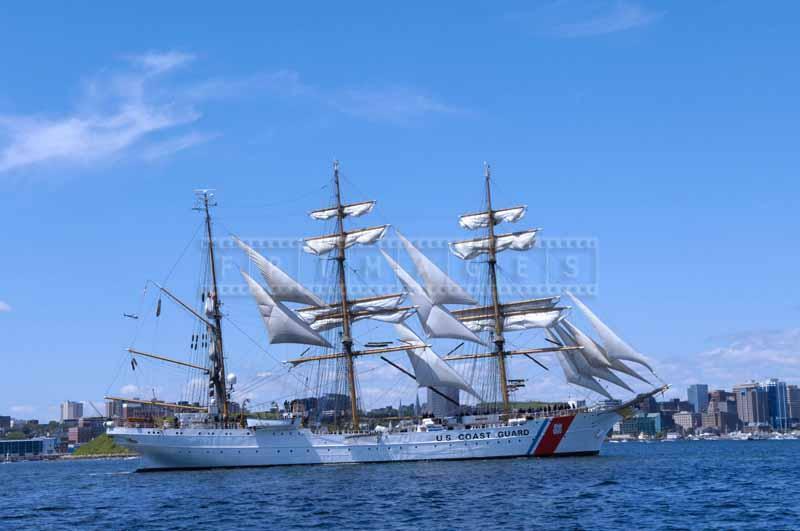 Tall ships visit to Halifax and Parade of Sail in 2009 was a huge success and hopefully it can be repeated on the same scale in not too distant future.